People are different - our shirts are too. When you order your tailored shirt hemdwerk tailors to your exact measurements. 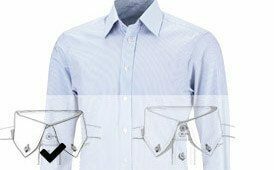 With the handy shirt configurator you create your desired shirt in just a few minutes. You have free choice of numberless colors and patterns. You determine the shape of collar and cuffs! With or without a breast pocket - all lies in your hands. You might also want a monogram - no problem for us. In the end, you don´t get stock wear at hemdwerk, but a custom-made lifestyle. Men`s shirts made ​​to measure are much more than mere clothes - they are an expression of lifestyle and personality. hemdwerk gives your individuality its very own shape: with hand-made shirts of the highest quality. A luxury item at an affordable price - can it be true? As a specialist in custom-made dress shirts, hemdwerk is dedicated to providing high quality products at permanently unbeatable prices. 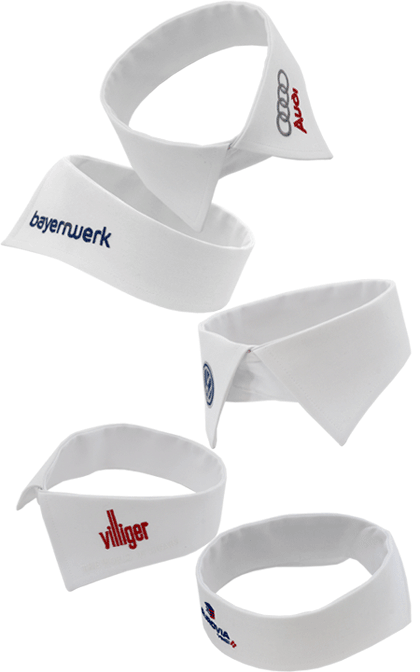 A cost-effective business strategy enables us to offer a made-to-order shirt for the low price of only € 39,90. The quality of our offered products and processing are subject to constant scrutiny. Every package that leaves our house, is checked and packed with care so that every order turns out to your complete satisfaction and you love to shop with us again. We would be glad to keep you informed on all updates with our newsletter. To do so please check the box during your registration or in your members are request newsletter. Of course you can also subscribe easily to our newsletter mailing list - even without a customer account. hemdwerk specializes in the individual manufacturing of high quality men´s shirts. We use our experience and our know-how specifically so that the customer receives an all around perfect shirt. In our online shop you will find a wide range of proven and controlled materials from all around the world. Many different fabric types and colors are available for your choice. The special service of hemdwerk is mainly in its simplicity. 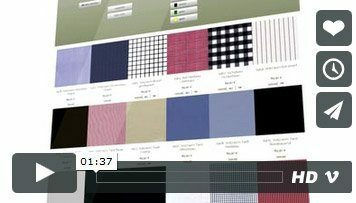 Determine measures, create the desired shirt in our shirt configurator, submit order. After 3-4 weeks you will receive your requested shirt which was made just for you. Every ordered shirt is made ​​with attention to detail and has to undergo a rigorous quality inspection after the completion before it reaches the customer. 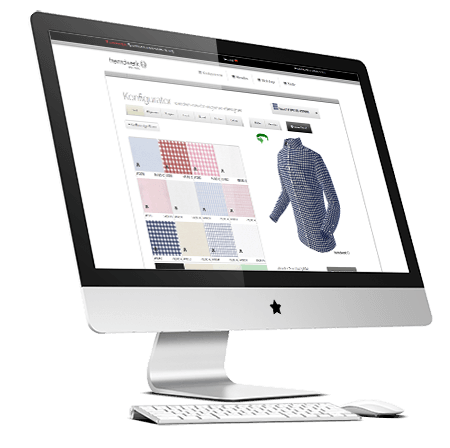 Business customers can ask for offers by email or get information on http://www.businesswear.de about our offer on business apparel. We would be glad to keep you informed about product updates with our Newsletter . Just click the check box during your registration, or select Request newsletter in your members area.